Not Desperate For Cash; Marcia: "I'm Not Gay!" Wisteria Lane just became a more exclusive neighborhood. All the stars of the hit ABC drama just received bonuses of up to $250k each. As if this will stave off the excruciating salary renegotiation that's inevitably coming soon. In other Housewives news, Marcia Cross is denying a rumor that she's about to come out of the closet. That said, she admitted she wouldn't mind kissing Eva Longoria on the mouth. 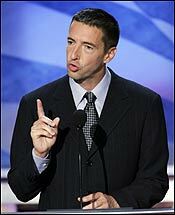 Hoping to give its daytime ratings a lift, MSNBC has given lefty Ron Reagan a regular daytime slot. He'll pair up with Monica Crowley, a former Nixon speechwriter, for Connected: Coast to Coast, a new, supposedly "less yell-y" twist on the old left vs. right TV talk format. More partisan on-camera bickering. Can't wait! Tonight's Law & Order plotline features a TV star who runs into trouble with a former producer, resulting in the woman walking away with shitloads of cash. Sound familiar? Oh, but producers say the episode "does not depict any actual person or event." Glad they cleared that up. It's official: Chris Noth, reprising his role as detective Mike Logan, will become a regular on Law & Order: Criminal Intent next season. He'll split duties with the habitually hospitalized Vincent D'Onofrio. He will also appear in this week's episode, to give us a little taste. And by the looks of Noth in the promo, he's been livin' hard these days. Maybe D'Onofrio should save him a bed. "Sweeps are obsolete... sweeps are obsolete... sweeps are obsolete..."
A wanna-be Apprentice applicant is suing the producers, squawking that Mr. Trump isn't taking him into consideration because he's a paraplegic. The man, James Schottel, does not claim to have been turned away yet, but is seeking a court order guaranteeing he will be permitted "to apply and be considered for The Apprentice." Sounds like either a publicity ploy, or a shakedown. Either way- I'm not watching. 1. Super Bowl XXXIX, Fox, 86.1 million viewers. 2. Super Bowl Postgame, Fox, 50.1 million viewers. 3 American Idol-Tuesday, Fox, 28.5 million viewers. 4. American Idol-Wednesday, Fox, 26.2 million viewers. 5. CSI: Crime Scene Investigation, CBS, 25 million viewers. 6. The Simpsons, Fox, 23.1 million viewers. 7. Happy Days 30th Anniversary Reunion, ABC, 19.9 million viewers. 8. Without a Trace, CBS, 19.3 million viewers. 9. ER, NBC, 18.1 million viewers. 10. Everybody Loves Raymond, CBS, 17.6 million viewers. 11. Two And a Half Men, CBS, 17 million viewers. 12. Medium, NBC, 15.8 million viewers. 13. American Dad, Fox, 15.2 million viewers. 14. CSI: Miami, CBS, 15.1 million viewers. 15. The Apprentice 3, NBC, 14.8 million viewers. 16. House, Fox, 12.7 million viewers. 17. The Amazing Race: 6, CBS, 12 million viewers. 18. Numb3rs, CBS, 11.5 million viewers. 19. 24, Fox, 11.5 million viewers. 20. NCIS, CBS, 11.5 million viewers. Wednesday: Oh, sure- Lost is back with a brand new episode, as is Alias. But during the commercials, how can one resist flipping to AMC to get a little taste of the classic Terms of Endearment? Also, in the I'm-so-confused column, on CMT, Lynyrd Skynyrd's Super Bowl Saturday Night Special airs, on Wednesday night, days after the Super Bowl ended. Must be all that moonshine. The Geek-In-Chief has interrupted his Arrested Development: Season 1 marathon long enough to churn out this week's Static. 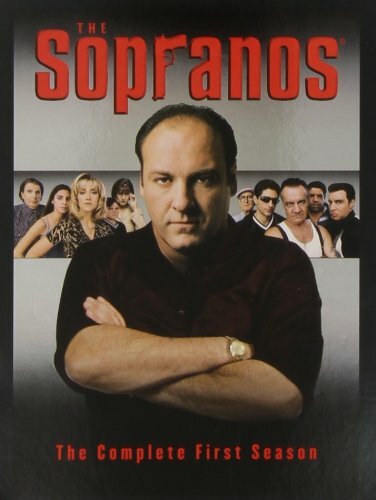 Is there a better way to spend a week of train commuting than taking in an entire season of The Sopranos? How about killing a weekend catching up on the thrilling first season of 24 that you never got around to watching? As you can tell, I've been watching a lot of TV on DVD these days. The big entertainment conglomerates have found a new way to cash in on material that's essentially already been paid for: throw some packaging around it, record a commentary or two, and blam-o! Instant revenue! And when they choose their releases wisely- I'm the first in line to buy. Shows like Seinfeld and Chappelle's Show have broken DVD sales records- and one show, Family Guy, was brought back from cancellation simply because of brisk DVD sales. It also allows producers to show deleted scenes, documentaries, promos, and various other features that enrich the viewing experience- while enticing viewers to buy. Still, I'm starting to feel like this trend is going too far. 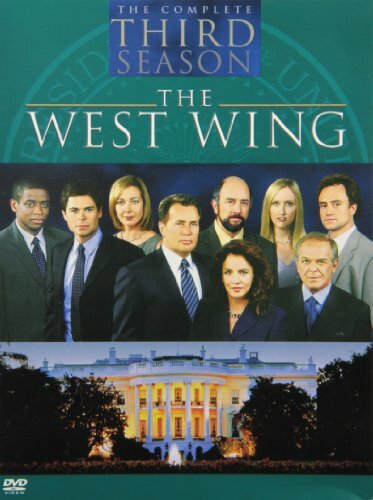 Now, it looks like they'll release any old show on DVD. 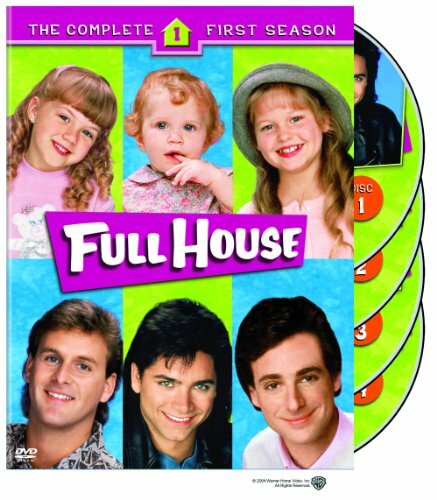 Just look at the release list (we post them every week on TVGS): for every classic like The Office, there's a classic kumquat like Full House: Season One. (Who needs to relive the solo hijinx of infant Olsen Twins for eternity?) For every intensely dramatic series like Homicide: Life On The Street, there's an intensely mindless sitcom like Home Improvement, which, with its overdone laugh track, can be seen umpteen times daily in syndication. Why plunk down $40+? 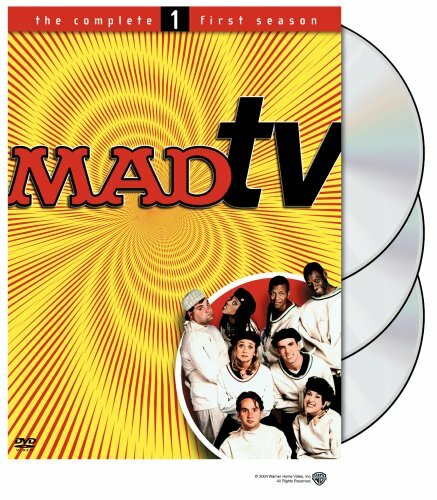 And just asking: who's buying the DVD versions of MAD TV, Arli$$, The Anna Nicole Show, and Punky Brewster? These shows are entirely unwatchable in any format- digital, analog, or Etch-a-sketch. Who's dropping a Ben Franklin for a DVD set? I guess that's the key: there's something for everyone. Otherwise I wouldn't have the 13 episode run of Greg The Bunny on my shelf. I guess one man's The Shield is another man's Saved By The Bell. Static from the Geek In Chief appears every Wednesday. Who has never guest hosted SNL? Who of the following was not on Saturday Night Live in 1986? Answer: c) Rich Hall, who left the show in 1985.